In the mid 1990s most people were still driving slow cars and anything that hit 60mph in less than 8 seconds (or so) was considered pretty quick. 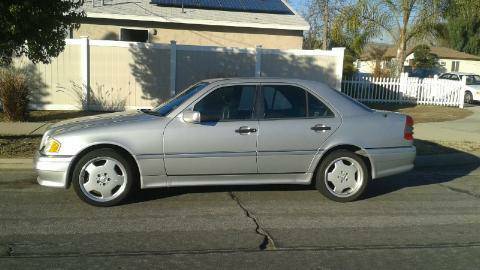 Naturally, a Mercedes-Benz sedan that could hit 60mph in 5.8 seconds and a top speed limited to 155 mph was a bit of a surprise, but in 1995 Mercedes-Benz introduced their first C-Class performance model and the first AMG badged street car in one 4-door package-- the C36 AMG. 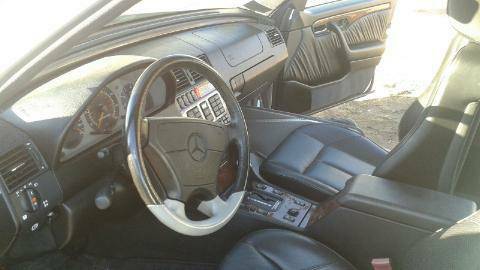 Find this 1995 Mercedes-Benz C36 AMG offered for $5,300 in San Diego, CA via craigslist. This post is part of DT's 2016 Birthday Celebration of 100 cars; enjoy the ride! The C36 started as a basic C-Class compact luxury sedan, but was shipped to the AMG factory in Affalterbach and modified with a hand-built 3.6 liter version of the M104 inline-6 producing 276 horsepower and 284 ft-lbs of torque. The only available transmission was a 4-speed auto that does a decent job of snapping off shifts but is probably the biggest reason these are so cheap. This is a hugely appealing car. I have a W202 C220 which is the absolute slowest variant of this platform. It is, however, really well built and awesome on the highway.